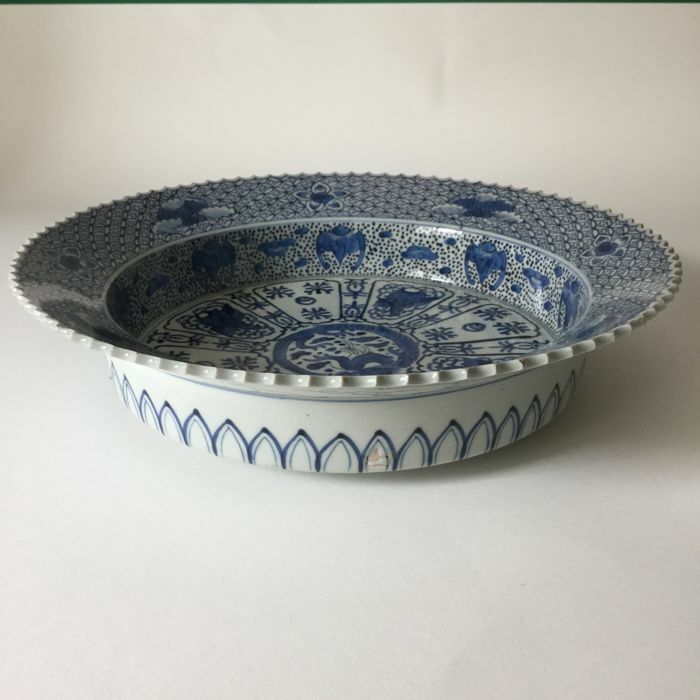 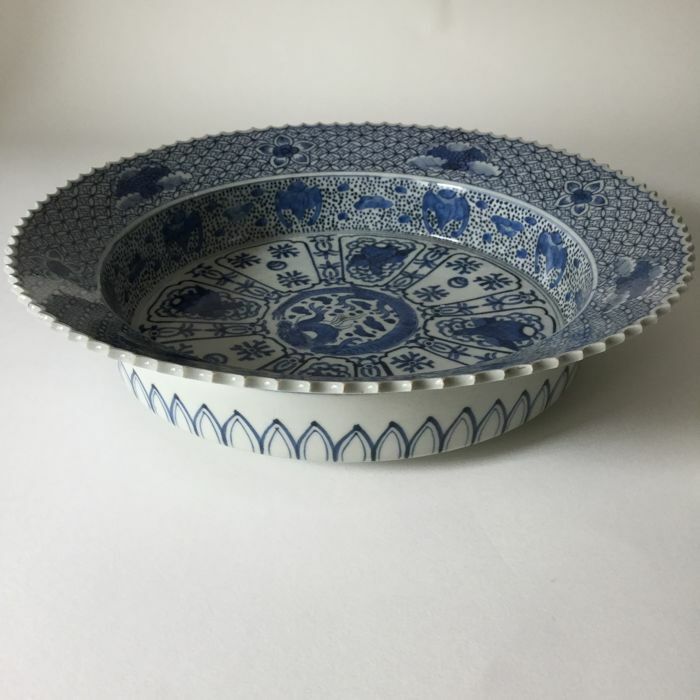 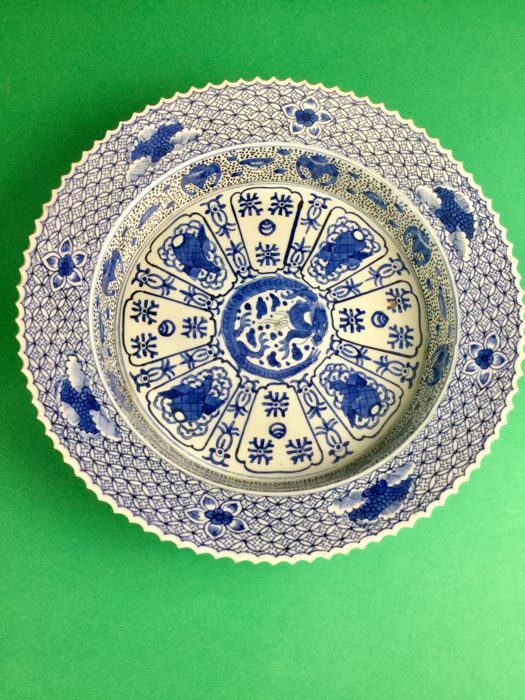 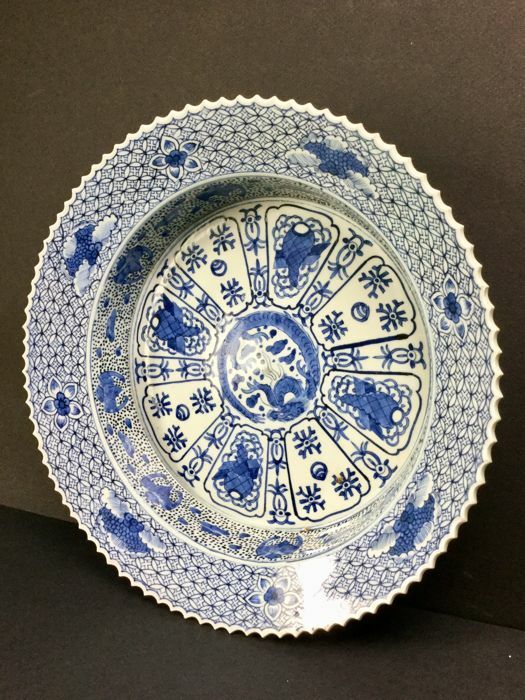 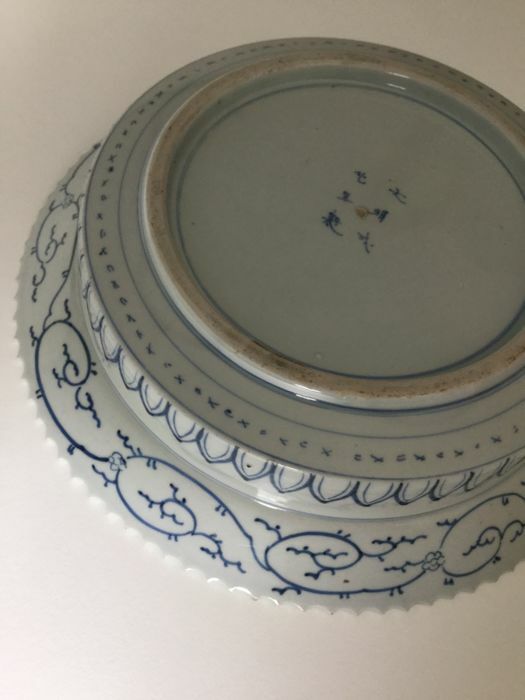 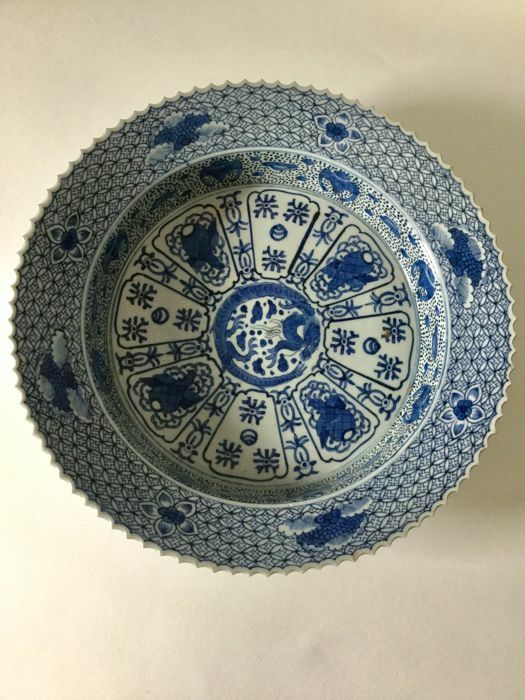 Blue and white porcelain bowl in the shape of chrysanthemum and lotus. 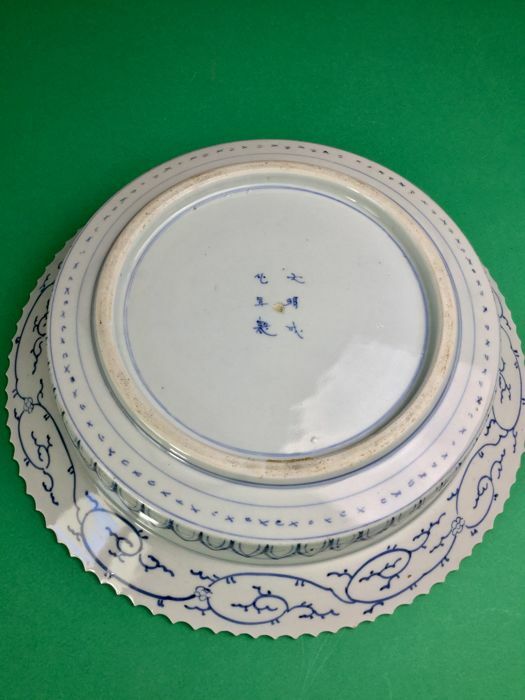 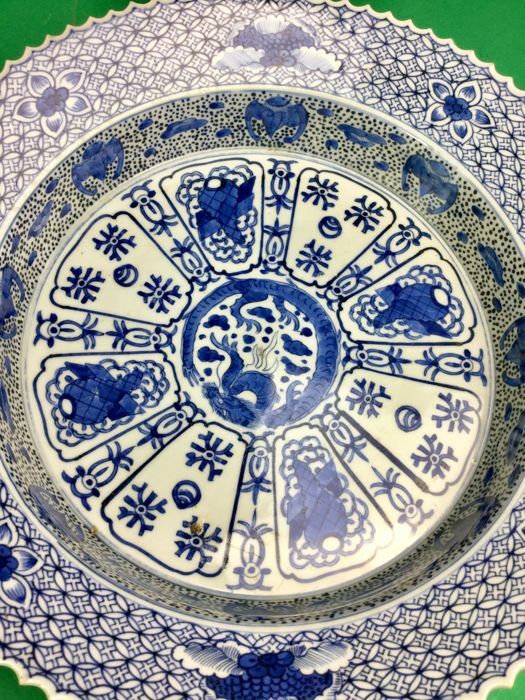 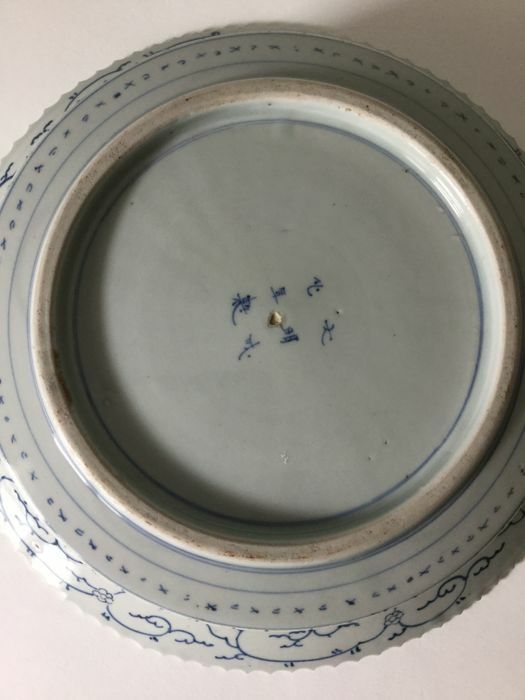 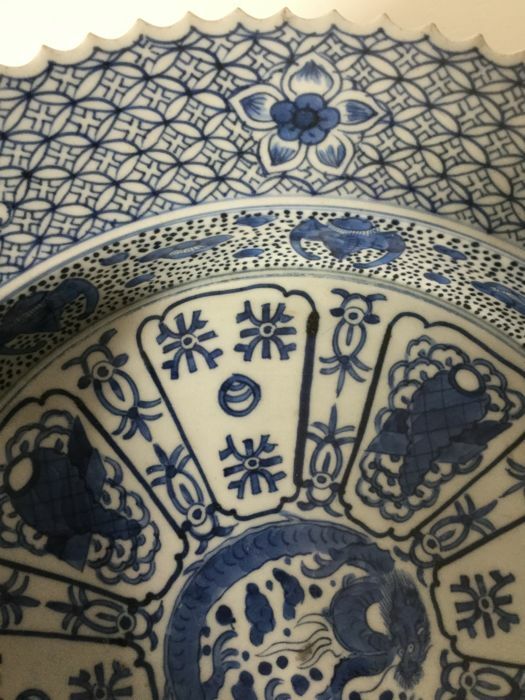 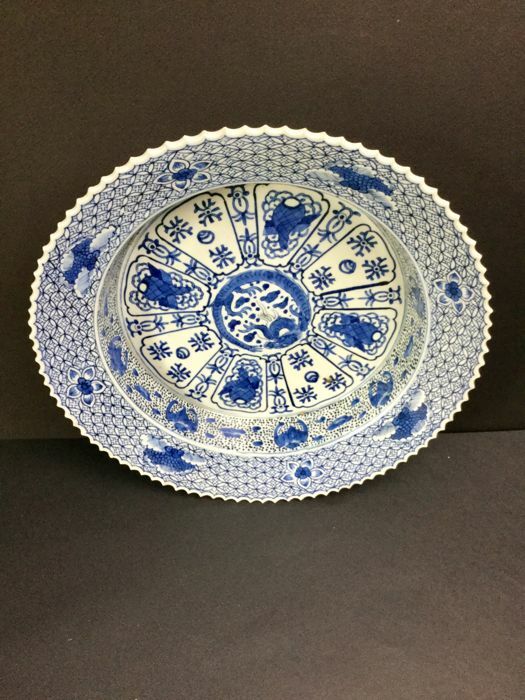 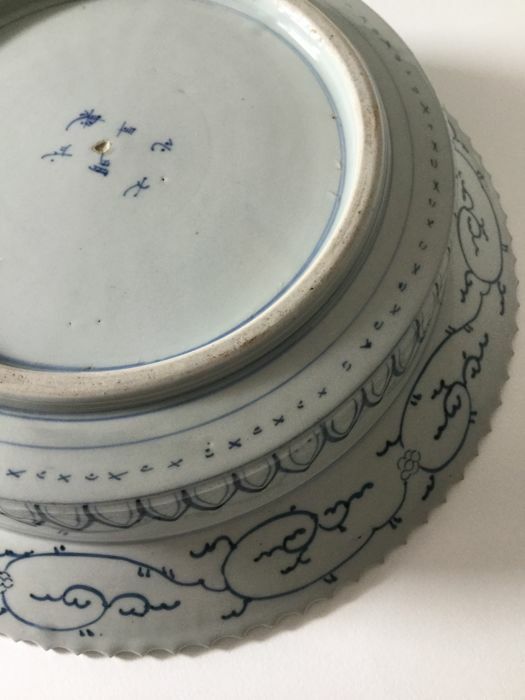 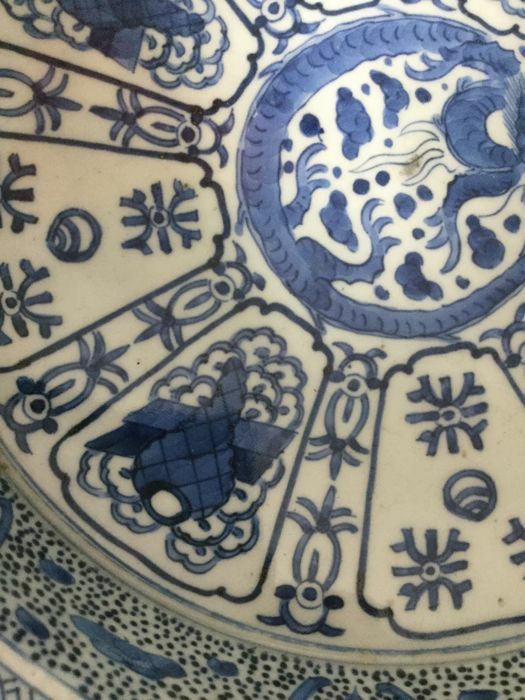 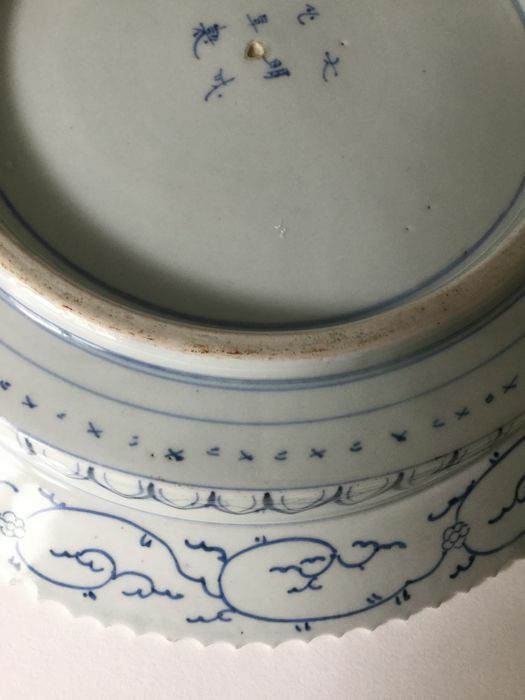 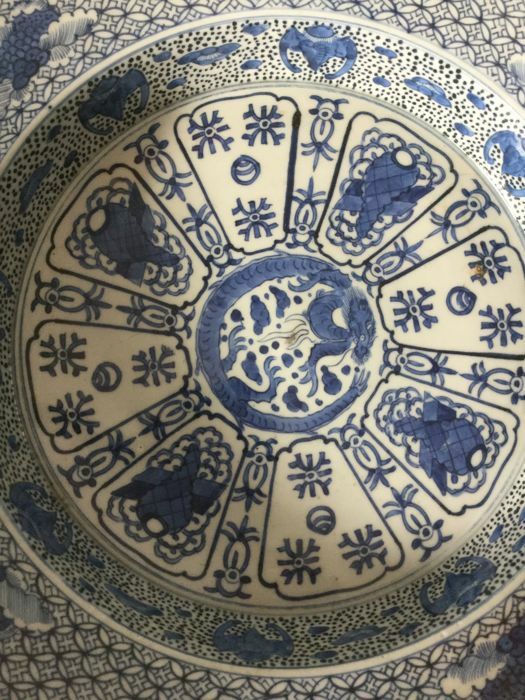 The bottom of the bowl is signed with the apocryphal mark 'Dai Min Chengua'. 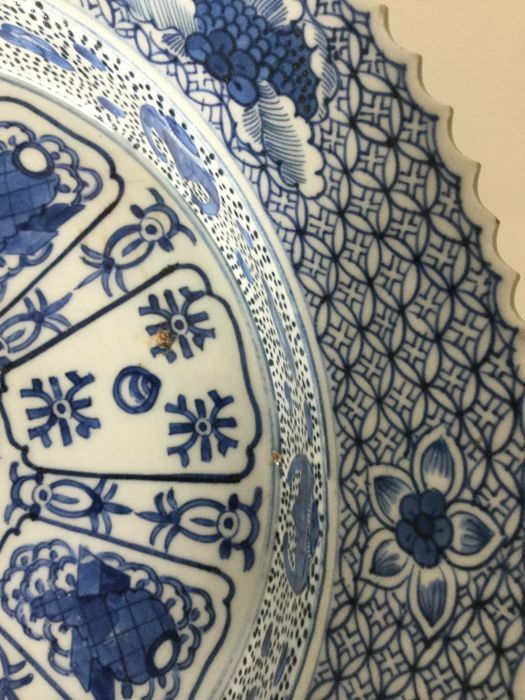 There is no reparation or damage. 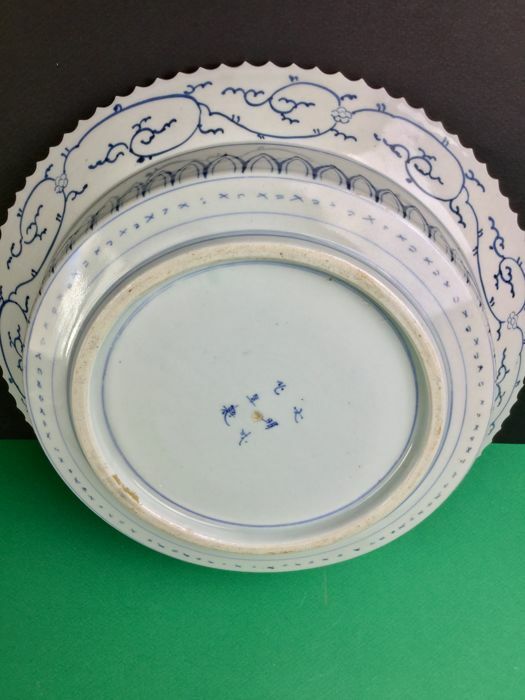 Offered without a reserve price. 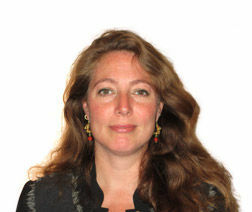 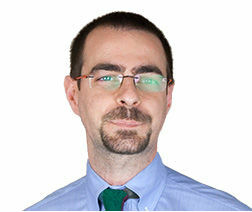 Ezt a tételt személyesen is átveheti az eladótól: Morieres les Avignon (PACA), Franciaország.